Grassfed meat has many cooking advantages over other meat. Grassfed meat is tender and tastes much better than other meat. Grassfed meat is often easier to cook that other meat. Surprised? All of these statements are absolutely true, if you know how to cook grassfed meat. Grassfed meat, coming from animals that have been fed the diet they were designed to eat, is quite different from other meat. It is denser, with considerably less water in it, and leaner. It has much more flavor, right in the meat. These differences mean that grassfed meat can be cooked at lower temperatures, shrinks much less in cooking, does not release water into the pan, cooks much faster, needs little or no seasoning, and is much more satisfying, so you are satisfied with a smaller amount. 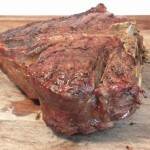 Conventional steaks are almost always cooked over very high heat, creating much smoke in the process. The high heat is necessary to deal with the large amount of water in the meat. Grassfed meat browns beautifully over medium heat, whether on the grill or in the pan or under the broiler. Conventional meat will often release a fair amount of water into the pan when it is heated. This water can really interfere with the cooking process, and can ruin the taste and texture of the meat, while diluting the flavor of any sauce or gravy. The only way to prevent this is to use really high heat. Grassfed meat does not have this excess water, and will almost never have this problem. Grassfed meat retains most of its volume when properly cooked with a dry heat method. 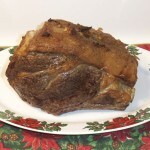 A conventional roast will shrink in size dramatically when roasted. Grassfed meat will shrink much less, because it is denser, with much less water. Grassfed meat cooks much faster than conventional meat. 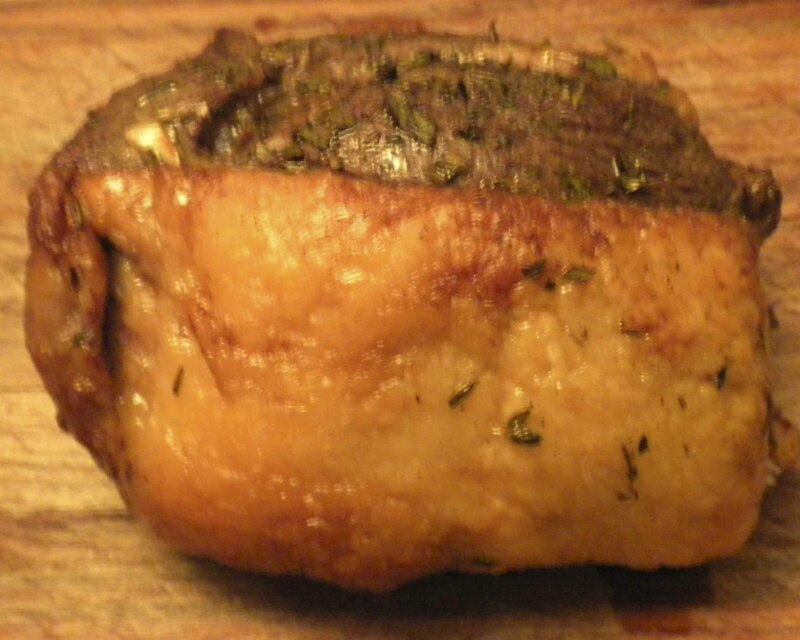 You can cook a delicious roast with a roasting time of 30 minutes. Steaks, stews, and pot roasts also cook much faster. This gives you considerable saving, in time and energy costs, and is much more convenient. Grassfed meat, properly cooked, has great natural flavor right in the meat and fat. This flavor is so good that it does not need much in the way of seasoning to be outstanding. The recipes in Tender Grassfed Meat are designed to bring out the great natural flavor of the meat by using just a few traditional ingredients and flavor combinations. This tastes so good that I am getting very hungry as I type this, and I just had a big breakfast! Conventional meat has a bland, uniform taste that needs all kinds of seasoning and sauce to provide flavor. Grassfed meat and fat are full of nutrients, and have much less water in the meat. This makes grassfed meat very satisfying. When your body gets the nutrients it needs, hunger stops and you lose the desire to keep eating. Now that I eat grassfed meat, I eat half the amount of meat I used to. I did not make a decision to eat less meat, it just happened because grassfed meat is so satisfying. When I am satisfied, my desire to eat ends, and I stop eating. I ruined the first grassfed meat I cooked, because I tried to cook it like conventional meat. After much research, I learned how to adapt the knowledge of our ancestors and developed several methods of making grassfed meat tender and delicious. I have found that cooking grassfed meat with these methods is easy. These methods are described in Tender Grassfed Meat, and they have worked for many people who knew nothing about cooking grassfed meat. This post is part of Fight Back Friday, March 19th at Food Renegade. « Celebrate St. Patrick’s Day with a Holiday Feast!